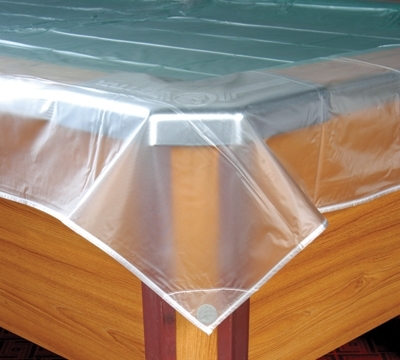 You can spend less money and still protect your table from dust and spills. This 4 mm thick cover has reinforced edge seams and weighted corners. Cover Size: 66 1/2" x 117"